This is a sponsored post written by me on behalf of Adaptil for IZEA. All opinions are 100% mine. How to help with anxiety in dogs is important to me. Being a human that has an anxiety disorder, it’s the last thing I want my pets to go through. 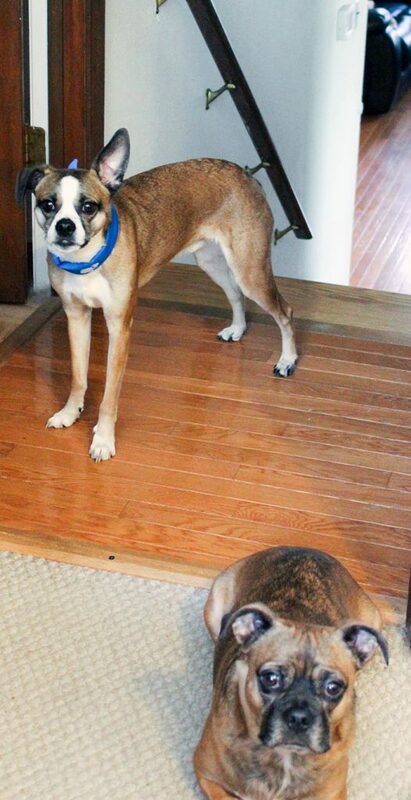 Each one of our three dogs has a unique personality, and have different things that bother them. For some dogs, it may be mild. For other dogs, it can be quite severe. That’s why it’s so important to know how to help with anxiety for our dogs. A dog that has fears needs a little TLC to help him get through the days. Maybe he just needs a little help getting through particularly stressful times like the 4th of July or thunderstorms. Or maybe he needs help everyday. There are some dogs who are afraid of the world and everything in it. Whether they need a little help or a lot, there are things we can do to help our dogs with their anxiety. A Safe Space The first thing to do for a dog with anxiety issues is to make sure he has a place to feel safe and secure in. Whether it’s a cozy spot in the corner of your bedroom or a crate, a safe, secure space is the very first thing you need for a dog with anxiety issues. Routine Routine is important for a dog who is chronically stressed. Just like people who have anxiety issues, dogs with anxiety issues like to know what’s coming next. Feed him at the same time. Walk him at the same time. Keep it all very smooth. Reduce Stress This seems like a no brainer, but you’d be surprised. If your dog wigs out when people come over, make sure you move him to his safe place BEFORE company comes. Schedule visits if you can. If your dog is afraid of cars, take him to do his business in the back yard. Little things like that are so helpful when it comes to how to help with anxiety in your dog. 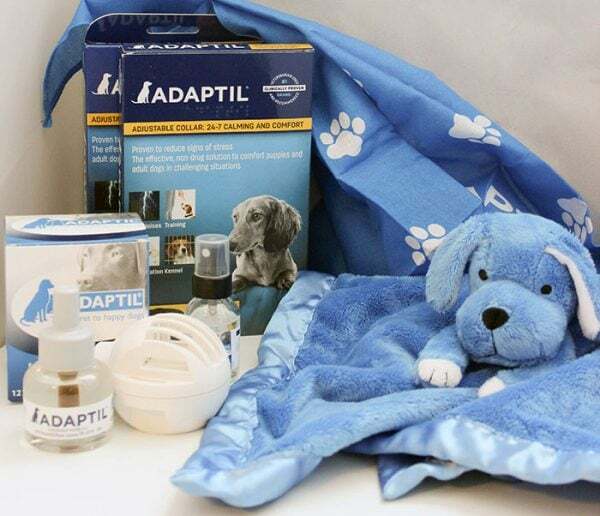 Use Adaptil Products and be #FearFree Adaptil products are designed to help ease your dog’s anxiety. These products USE NO MEDICATIONS. I think that’s important to note. You aren’t drugging your dog or putting anything off into your home’s air. 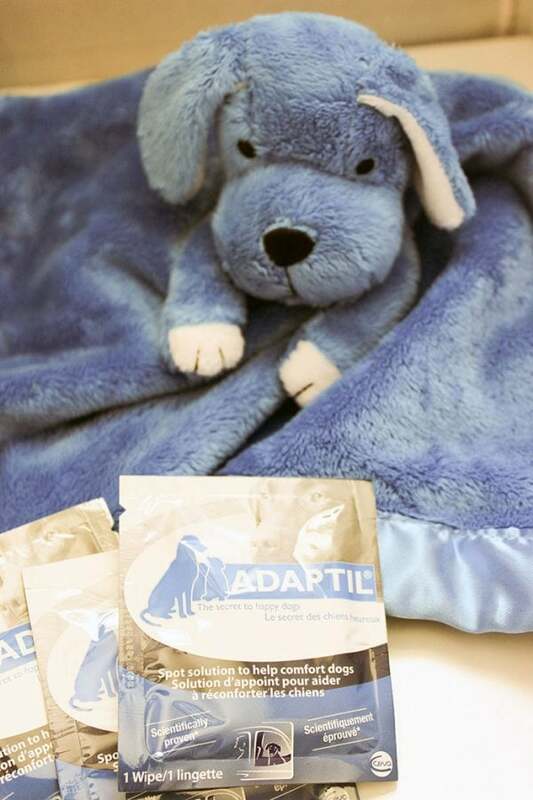 Adaptil products use pheromones to calm dogs naturally. These pheromones are a drug-free way to promote a feeling of calmness in your dog. 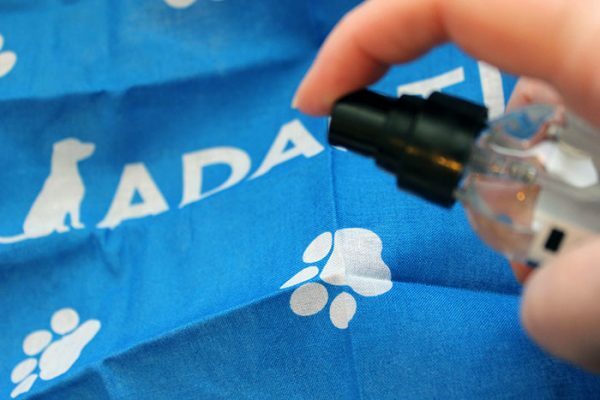 Their products include diffusers, collars, sprays, and wipes. Adaptil® products work. My vet recommends them and she uses them in every exam room and in the back room, as well. By using pheromones, Adaptil helps ease anxiety in an all-natural way that’s 100% free of medications. 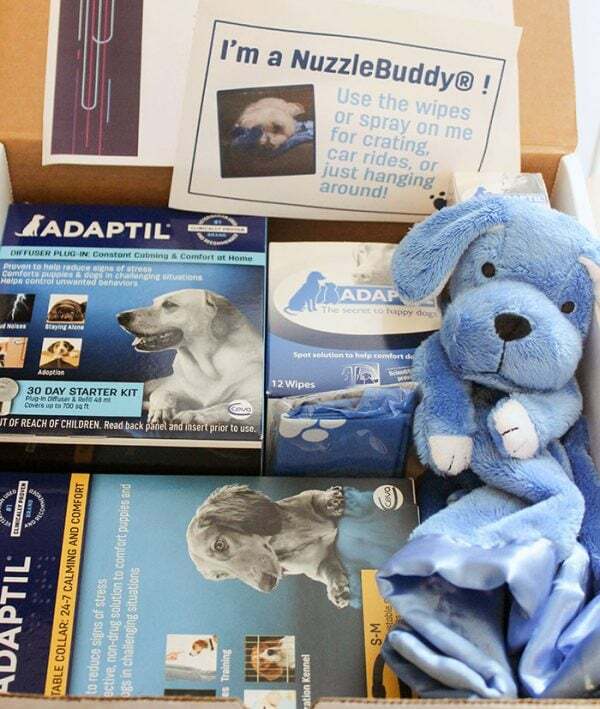 If you want to know how to help with anxiety in your dog, follow the tips above, and ask your vet about Adaptil. Find out more. My vet swears by it. Check them out on Facebook. I do agree that anxiety is not fun at all and I feel bad for poor pets who have it too. These are terrific tips to follow. My dog is legit neurotic, but now I wonder if part of that is anxiety. I need to talk to his vet about this. Aww that little Nuzzle buddy is too cute. How thoughtful! I love that our pets now have things like this and that there are companies realizing pet anxiety and dealing with it in the right way is important. My recent rescue dog, Milo a wired MinPin, is stressed to the n’th. He has three ‘safe places! (My bed, a dog bed in another room and a crate). Luckily my dogs are pretty chilled out. I have friends who’s dogs have pretty severe anxiety and it’s so sad. Good tips for those dealing with it. These totally sound worth a try. My brother’s dog has anxiety issues and he is getting ready to move to a new state so this would be great for him. My friend has a dog that hates to be home alone. She howls and cries at the door the entire time she is gone. I will have to share this with her. It would really help her little fur baby. I have a little Chihuahua that gets anxiety when i have to leave her at home. I will have to look into getting this for her. I don’t have a dog, but back when I was living with my parents, my father had a dog. He would get scared over thunderstorms sometimes too. This is a wonderful post to help those out that have some dogs with anxiety. It can be hard to sleep sometimes when dogs get scared too. My parents have a very anxious pup! I need to share with them! I suffer from anxiety and I can only imagine how difficult it may be for a pup, especially when it’s so hard to communicate how they’re feeling. Thank you for posting this. I have a lot of dog-owner friends who would appreciate this. Great tips. I’ve never had to deal with a dog that had anxiety but I could see these tips being great solutions. I never thought about dogs having anxiety disorders until a friend told me her dog took anti-depressants. It it interesting how much our pets hve in common with us. I hadn’t heard about Adaptil before. I’m so glad there’s something that helps rid them of some of that anxiety! I have a friend with a little dog who is afraid of people. This might help. This looks like an innovative product. Might help our little one through thunder anxiety. i have tried some of their products, however they did not work well with my oldest dog. the vet gave me some of the wipes to try. they worked one time but did not do much to calm my oldest dog, she has dementia and gets upset when traveling in the car now. i have also tried the a calm collar but i did not like the flaking of the product from the collar. i use homeopathic products like the rescue remedy and vetriscience composure. i like the idea of the blanket and the putting it on things.